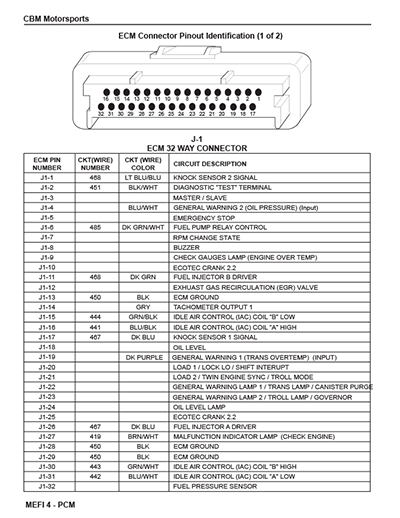 CBM Motorsports™ MEFI™ 4 pinout id manual. View MEFI™ 24x to 58x conversion. 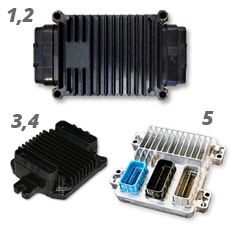 CBM MEFI™ Electronic Control Modules for LS and Ecotec, Versions 4, 4a, 4b and 5. With base tune or no tune. 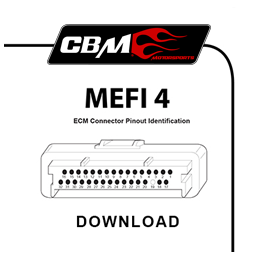 CBM MEFI™ stand alone LS, Ecotec wiring harness`s. This is the MEFI™ ECM version 4. It has two connectors and three mounting bosses. number on the sticker. In this case "12575479". 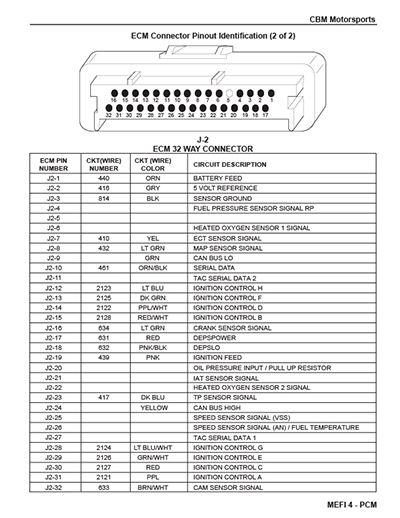 All MEFI™ ECM's have a part number like this that can be used to determine the "series" or "generation" that the MEFI™ system is. MEFI™ ECM version 1, 2. 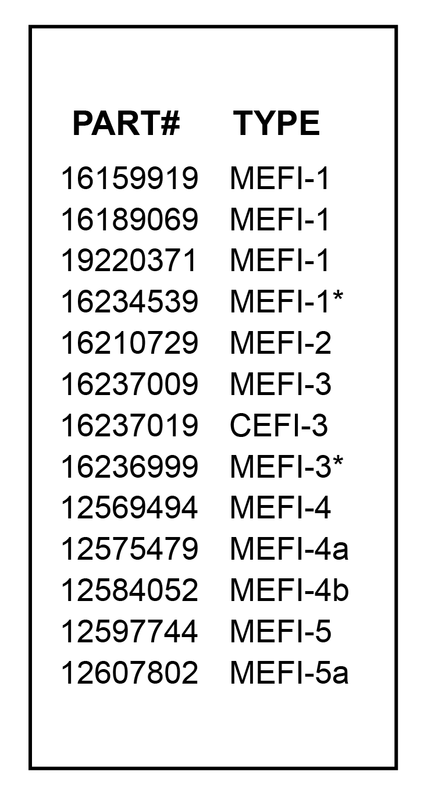 MEFI™ ECM version 3, 4. MEFI™ ECM version 5, 6. Inside the ECM. 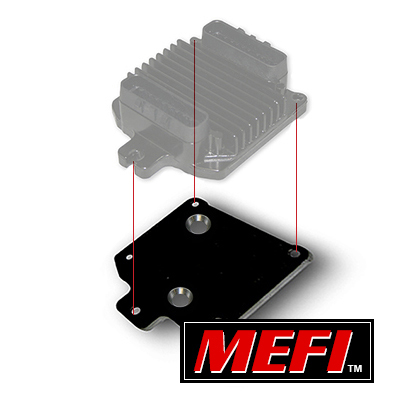 The MEFI™ ECM is manufactured using a state-of-the-art, thick-film “hybrid” technology that forms the circuits by literally “printing” layers of conductive and nonconductive ink onto a ceramic substrate. 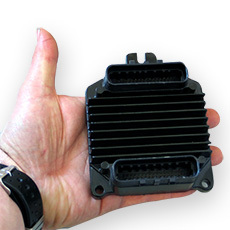 The result is an extremely rugged and durable circuit board that can be mounted directly onto the engine if required, because it can handle very high temperatures and severe vibrations. 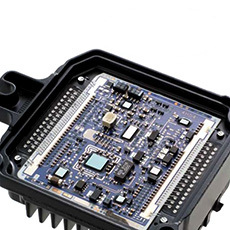 Extensive use of “flip chip” integrated circuit technology makes possible a smaller ECM. Flip chips require less space because they do not have the plastic covering of typical chips and are “flipped” over to fasten directly to the board. 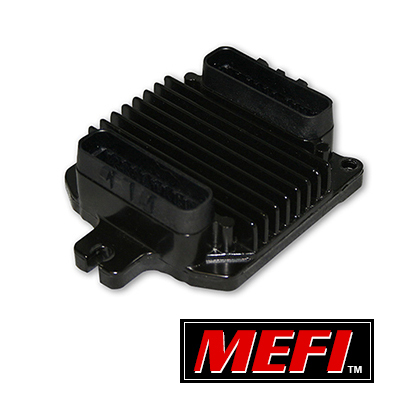 The MEFI™ ECM also "learns" as it is driven, fine-tuning its calibration / outputs in response to atmospheric conditions, engine condition, and driving style. CBM Motorsports™ MEFI™ pinout id v4 1 of 2. CBM Motorsports™ MEFI™ pinout id v4 2 of 2.